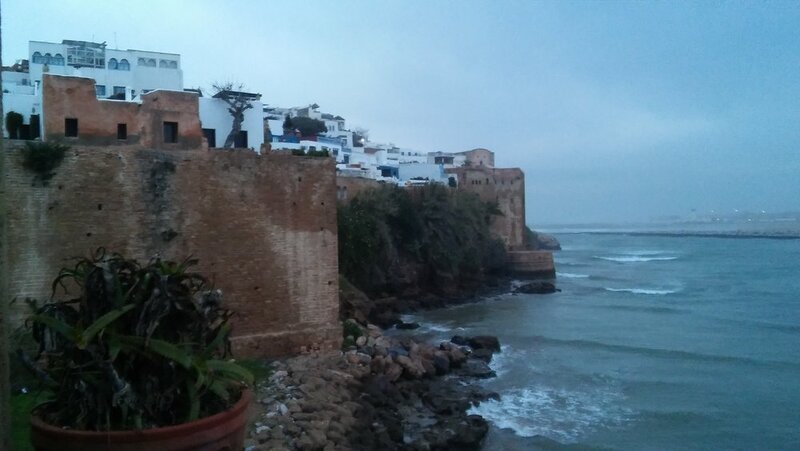 When I reflect on my time spent in Morocco, I will always consider it to be a formative part of my life. The people with whom I became acquainted, the irreplaceable experiences and the unique places I visited all had a profound effect on my identity. The unending generosity of my host family aided my understanding of the true nature of hospitality which will guide me in the future. Coming from a rural area, I had difficulty from the onset transitioning to city life, especially a foreign city. Adapting to meet this challenge enhanced my own ability to persevere and surmount obstacles. That being said, my sojourn in Morocco was not solely adversity. When I recall the ease of making friends in Morocco, I am left with an amiable picture of the Moroccan people. The many gregarious people whom I would encounter on a run, out in the street, or in cafes is a unique experience in Morocco which I cannot attest to have found as much in the United States. Not to mention the loquacity of the Moroccan friends I made which permitted me to practice Arabic, Darija and French to a great extent. This language immersion is essential to the career I wish to pursue. Travelling within Morocco, especially with the trips arranged by my AMIDEAST program, was edifying and widely broadened my horizons. Having never before left the United States, I looked upon the markets of Fez and the Atlas Mountains with no small degree of awe. Morocco is a beautiful country that I would not have been able to sufficiently explore without the excursions provided by the program. I especially enjoyed our trip to Zawiya Ahansal. Being a language enthusiast, I enjoyed the Tamazight lessons that were required in the village. I only wished the lessons would have been offered as part of the general education provided by the program. One of the more memorable and impactful experiences in Zawiya Ahansal for most students I imagine was the dinner and dancing at the Sheikh’s home. This experience was inherently unique because very few people that come to an Amazigh community would receive this level of familiar treatment. Overall, our time in the community was a once in a lifetime opportunity that I am grateful to have experienced. Another impactful experience was a trip that my classmates and I took of our own volition to Merzouga at the edge of the Sahara Desert. Despite being an archetypically touristic excursion, seeing the massive dunes and spending a night near an oasis was certainly one of my favorite parts of my semester abroad. Now that it's been a month since my Moroccan experience ended, it feels as if my entire semester abroad were a dream. The time I spent in Morocco punctuated the normal rhythm of my college life with an opportunity like no other. In summary, I will always hold my time spent in Morocco with AMIDEAST as a formative, constructive and unparalleled experience in my life.